When parents of minor children divorce, the top priority of the courts and all interested parties is protecting the children’s best interests. Unfortunately, it is not always easy to determine which available environment would be best for children. Many divorce hearings therefore get bogged down in complex and emotionally-painful child custody disputes. 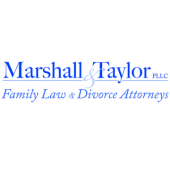 The Raleigh child custody attorneys of the Marshall & Taylor Law Firm, P.C., understand how important parental rights are to you. We will work hard to keep you fully informed about your rights and obligations, and present the best legal case we can build for you in court. To learn about our approach to family law, contact our offices at 919-833-1040. North Carolina observes the federal Uniform Child Custody Jurisdiction and Enforcement Act. The guiding principle of this act is that children should be placed with the parent, other relative, or institution that can provide the best home life for him or her. Biological parents are usually given priority unless they are shown to be negligent or abusive. There are two basic types of child custody: physical and legal. If you are seeking full or joint custody of your child, it is important to know the differences between them. Physical custody: This is a parent’s or other guardian’s right to spend time with the child. If a person is granted primary physical custody, the child will live with him or her. Legal custody: This is a guardian’s right to make important decisions about a child’s life. Some examples include the child’s education, religious instruction, and medical care. Parents commonly share legal custody, which means they have to make these choices together. To discuss your circumstances with a knowledgeable Raleigh child custody lawyer, contact the Marshall & Taylor Law Firm, P.C., at 919-833-1040.